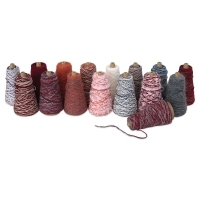 Trait-tex Novelty Yarn Assortment and Dispenser features 16, 4 oz cones of yarn in assorted styles. 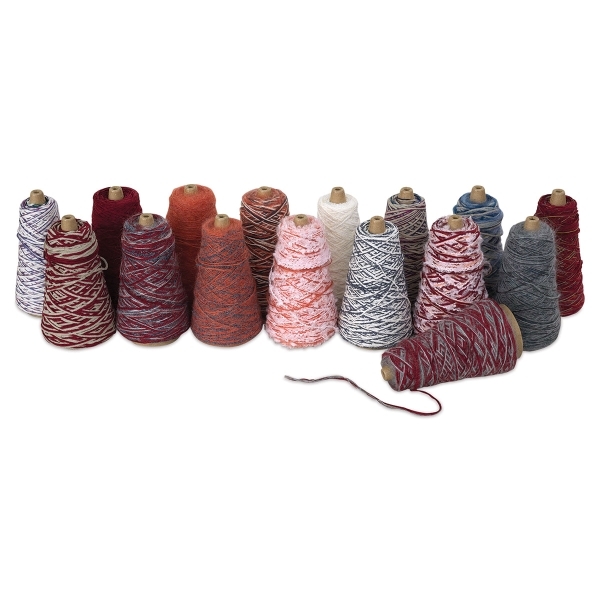 The assortment contains both thick and thin yarns, including chenille stems, twists, space dyes, and more. 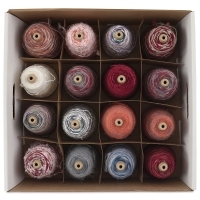 The tangle-free yarn comes in a refillable dispenser box. Yarn colors vary depending on availability.